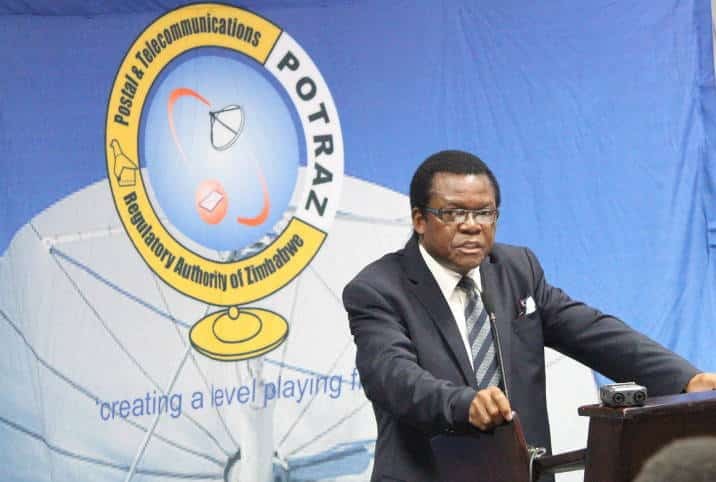 Another delay struck in the trial of the Postal and Telecommunications Regulatory Authority, POTRAZ Director General, Gift Machengete amid a business trip on government duty. This week’s travelling announcement comes barely two weeks after the trial of the POTRAZ boss failed to kick off again. Regional magistrate Hosea Mujaya today postponed Machengete’s matter to 5 April after releasing his passport to allow him to go to Tanzania for a workshop and Annual General Meeting, (AGM) which is scheduled for 25 to 30 March 2019. Machengete was initially facing allegations of criminal abuse of office after he allegedly engaged a local company to construct Container Village Information Centers (CVICs) valued at $1 494 104 without going to tender before the state gave a new twist to the charge. The state now amended the charge to contravening the public procurement and disposal of public asset regulations, which made him, Machengete to apply for an exception. According to the state, sometime in December last year, POTRAZ resolved to procure CVICs, which were going to be mounted countrywide. In February this year, Machengete wrote to the Procurement Regulatory Authority of Zimbabwe (Praz) requesting a waiver of procurement regulations to enable the authority to purchase CVICs through quotations because container conversion was a specialized skill. It is alleged POTRAZ subsequently purchased 24 CVICs from B Smart Business Solutions at $70 682,95 each, totaling $1 494 104, through comparative schedule despite the fact that the value involved required competitive bidding in terms of the Procurement Act. Machengete is out on $500 bail.